So I got a new keyboard. 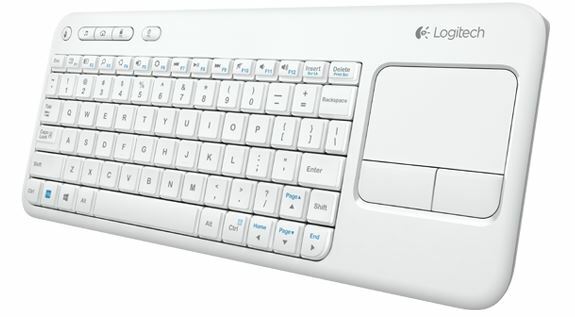 The Logitech K400r. Small, wireless keyboard with attached touchpad. The perfect keyboard for lounging on the couch and controlling my Raspberry Pi on the big screen. This was why I bought the thing and it works great with Raspbian. But how does it work with Windows 8? Once launched, I discovered that the “Keyboard” and “Mouse” tabs were both missing. Having not used SetPoint in ever, I kept looking at images from the Logitech Manual and the installed program on my computer. Why were my features missing? I did a little research and found a quick solution. Use the Unifying Software (included with SetPoint) to un-pair and re-pair the K400r. I guess the keyboard cannot be connected prior to the installation of SetPoint? I can care less to investigate the true cause. All I know, is it works now and I can control the settings for both keyboard and touchpad. On a side note, the K400r is the new version of the K400. The K400r touchpad is designed for Windows 8, otherwise, it’s the same as before. (Different Windows logo on the keyboard too.) The packaging still says K400; however, the sticker under the keyboard indicates it is a K400r.